As we all know, not every child gets to school via a car. Some walk and others ride a bike. Please be mindful of small children riding to school because as Houstonians…we just aren’t used to bike riders for the most part. Now if your child is a rider, be sure to talk with them about the safety of riding and send them off with a helmet. A: Children can take their bikes to local fire stations to get a safety check for brakes, tire pressure or basic maintenance. A: Bicycles have the same rights as cars, but the law encourages bikers to ride in the right lane and merge with traffic when making a turn. Today’s question about cell phone usage was a popular one and one that took SEVERAL calls to get REAL clarity on. Please know that the following questions and answers are merely to inform you and not to promote driving while talking on a cell phone. For the safety of children and for the safety of yourself, you should always make the safest decision possible at all times. 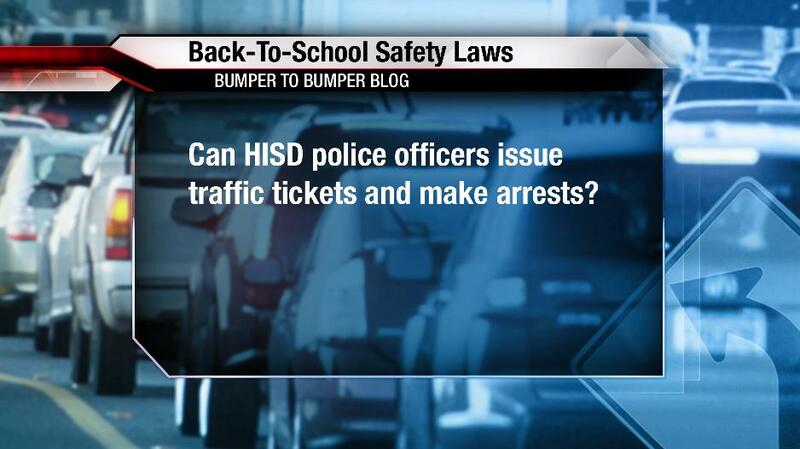 A: According to HPD & HISD Police, they are not ticketing because signs are not up yet. But in the city of Bellaire where “No Cell Phone Usage” signs are up, they say that the law is in affect with the active school day. Example: On a Saturday, if you were talking on your cell phone in the City of Bellaire, their police would not ticket you. Tune in tomorrow for another round of Back-To-School Safety Questions! 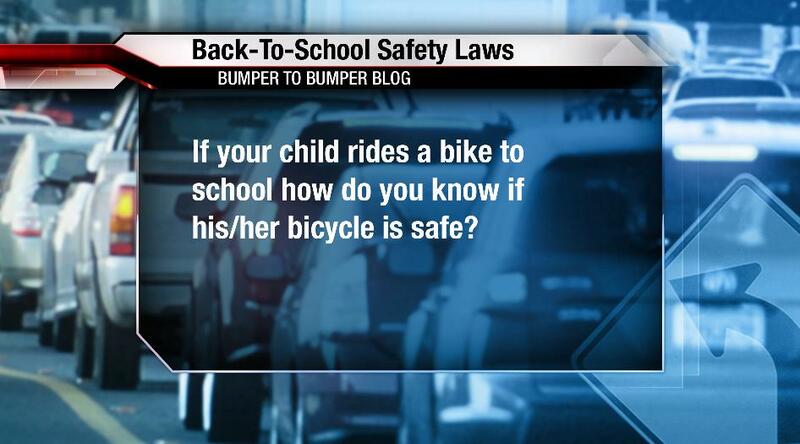 Tuesday’s Questions: Tune in between 5am-7am as we answer back-to-school traffic questions! We’ll have more throughout the week, preparing you and your family for the 2010 school year. A: According to Texas law , drivers are prohibited from using a wireless device within a reduced-speed school zone. Cellular phones may be used while the vehicle is stopped in a school zone or with a hands-free device. Wireless devices may be used to make emergency calls to specific organizations, such as police, fire and emergency medical services. The law also applies to bus drivers. Violators are subject to a fine of up to $200. 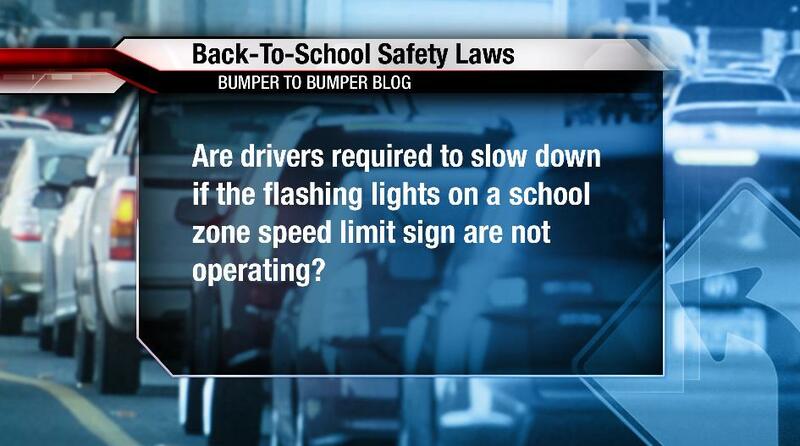 A: Drivers must read and obey the information posted on the speed limit signs. The times listed are the times when drivers must slow their speeds. If the flashing lights are malfunctioning, please call 311 and report their location. If you have a school zone question…email me at jreyna@click2houston.com. 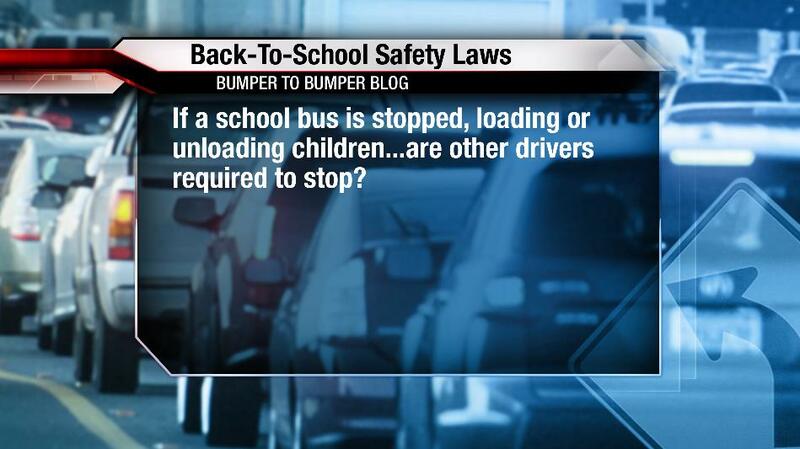 A: According to HISD Police, drivers in ALL lanes and ON BOTH SIDES of the street must stop if the school bus stop sign is out or the red flashing lights are on. Drivers are not required to stop if there is a median separating you(driver) and the school bus. A: HISD Police will not be giving any warnings for violations in a school zone. They say that this is a NO TOLERANCE policy for the safety of students. So, stay tuned to my traffic reports this week for a preview of other laws that you should be briefed on before the 2010 school year kicks off. HOUSTON, TX, August 17, 2010 – Get caught speeding in a Houston area school zone and expect to pay an average of $216, according to a new survey by Allstate Insurance. The company recently surveyed 80 police departments and municipal courts across the state—including 14 in the Houston area—to find out the average cost of a speeding ticket in a school zone for driving 10 miles per hour over the limit. According to the survey, the average fine statewide for driving 10 miles per hour over the limit is $211, with the highest fines in Huntsville ($312), College Station ($305) and Conroe ($305). On the other end of the spectrum, school zone speeders in Lufkin face fines around $150. Allstate conducted the survey to remind drivers to slow down and pay attention in school zones, especially as many students in Texas head back to class next week. Police are looking for more than just speeders in school zones. Drivers caught violating the year-old Texas law prohibiting cell phone use in a school zone, without a hands-free device, can end up paying as much as $327 in some cities, including Pearland, according to the survey..
1. Drive slowly in school zones. Watch for children in the road and always obey crossing guards. 2. Put down your phone, breakfast, make-up, etc. and focus on driving. 3. Be alert and patient around school buses and bus stops.